Inspirations for cocktails can originate from anywhere; from the scents of a favorite locale, to the sights of a spectacular view, to memories of childhood or life experiences. Just like visual and performance art, the art of the cocktail and its creation always originates from something meaningful to the mixologist. Currently, my personal inspiration is the changing of seasons. All seasons, and their metamorphoses into the next, they tend to be muses for me. The advent of each one brings moments of uniquely dazzling transformation. I think of Spring as a time of renewal and rebirth. When the smell of fresh earth and new blooms overtakes the previous crisp cold in the atmosphere. 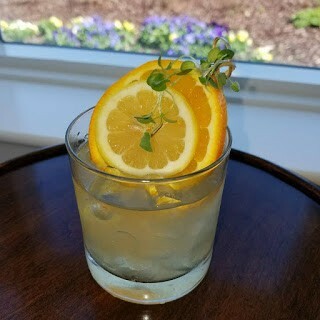 In my mind, something about the combination of light, fresh flavors paired with aromatics, makes a cocktail sing of spring. Pour all ingredients into shaker, add ice, and shake well. Pour into a rocks glass, add some extra ice and garnish. In the words of the Bard, "Ahhh, Summer"! What a glorious season of sunshine and outdoor fun! When the days are long, and the nights are warm and sultry. Pairing tropical and citrus flavors with refreshing sparkle is always a favorite combination of mine that symbolizes the summer season to me. Pour the vodka, liqueur, and pineapple juice into a shaker with ice, add the lemon without squeezing it, shake well. 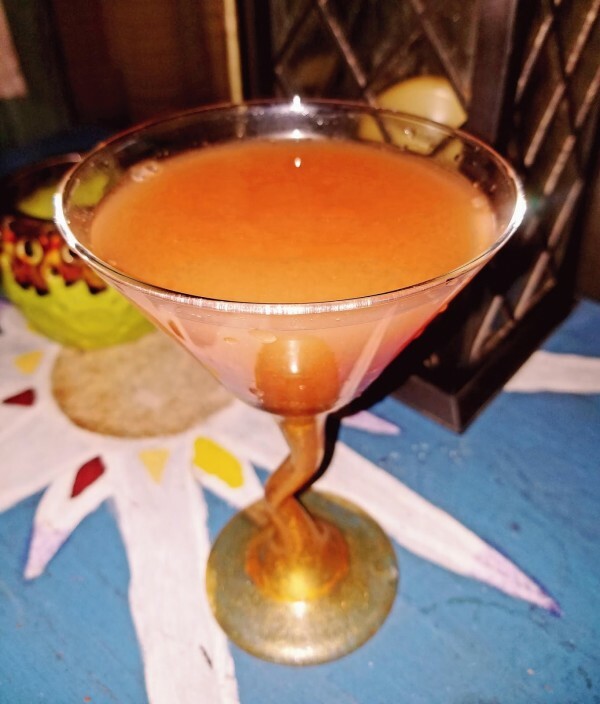 Strain into a martini glass or wine goblet and top with the champagne. If I had to pick a favorite season, it would be Fall. Its warm days accompanied by chilly nights that lend themselves to the earth's deepening colors, intoxicating scents, and magnificent panoramic views. They are the epitome of inspiration for me, and the 'beertail' below is one of my favorite combinations for this transformative time of year. It's simultaneously refreshing and comfort cozy, just like the days and nights of the season. 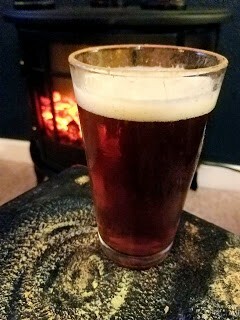 Pour the bourbon & syrup into a pint glass or beer mug, top with the pumpkin ale & stir lightly. The winter season makes me think of sparkling chilly temperatures, rosy glowing fires, and soft fuzzy scarves and blankets. Fragrant aromas of freshly cut pine, rich apple pie, crisp fallen snow, and cinnamon cocoa all seem to seamlessly blend into a single, beautiful, complex scent inspiration. 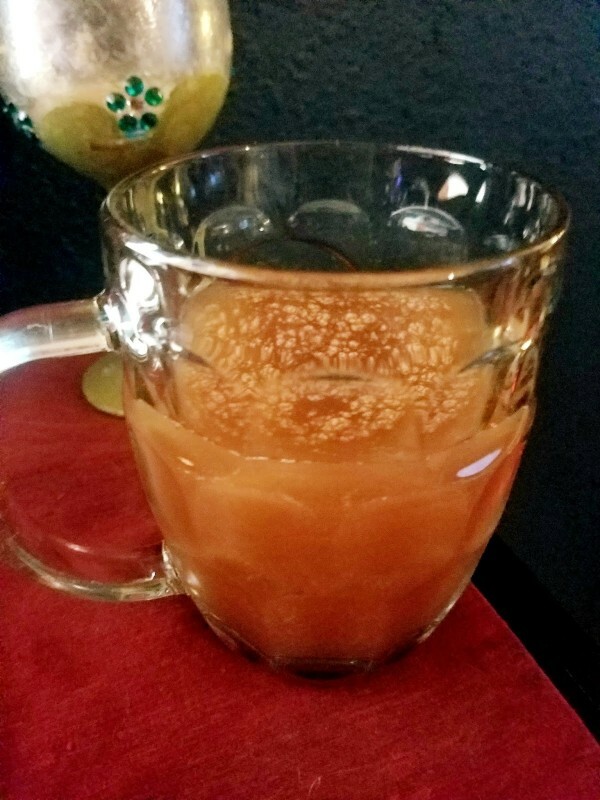 This mulled cider cocktail is not only delicious, but a fan favorite. If you want more of a nutty flavor, feel free to use amaretto instead of brandy. Either way, it's perfect for hanging with friends or just relaxing at home. Pour the bourbon and the apple brandy into a mug, then add the mulled cider and stir lightly.